An online tool by the UIDAI enables Aadhaar holders to verify their registered mobile number. This facility can be accessed by visiting the uidai.gov.in website and clicking on the 'Verify Email/Mobile Number' link. Keep your mobile number updated in Aadhaar. This was said by the UIDAI or Unique Identification Authority of India - the issuer of the 12-digit Unique Identity Number (also known as Aadhaar number) as well as Aadhaar card - on microblogging site Twitter. With Aadhaar number or UID now mandatory for many essential services and government schemes - PAN card, and bank account to name a few, it is important to keep your Aadhaar details and the registered mobile number updated. UIDAI provides many online tools for providing assistance to Aadhaar holders. One of these tools enables an Aadhaar holder to verify his or her mobile number registered with Aadhaar. 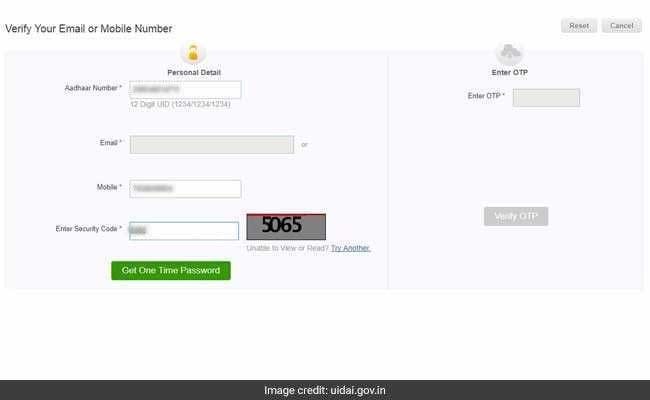 To check which number is registered with Aadhaar, visit uidai.gov.in and find this tool using the 'Verify Email/Mobile Number' link. 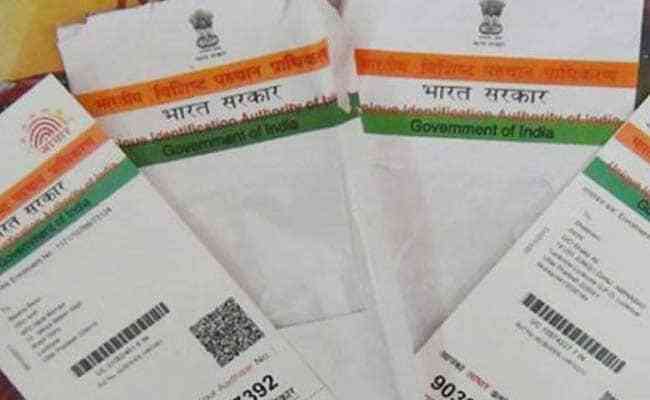 Those looking to register a new mobile number with their Aadhaar can "visit the nearest Aadhaar Kendra" (Aadhaar Centre), the UIDAI further said. Information on Aadhaar centres can also be found online via a search tool provided by the UIDAI. The Aadhaar issuing body also shared a link to this facility. 1. The user may go to the UIDAI website, find and click on the 'Verify Email/Mobile Number' link. This online tool can also be accessed directly via a link. 2. On the next page, fill in the Aadhaar number, mobile number and security code in the given fields as specified. 3. Click on the 'Get One Time Password' link to proceed. 4. You will receive your Aadhaar mobile verification code in an SMS. This password is sent to the number registered with Aadhaar. Enter the password received on your mobile in the OTP field. 5. Click on the 'Verify OTP' button to proceed. For valid entries, the next page displays the message: "Congratulation! The Mobile Number matches with our records!" Aadhaar mobile number update requires biometric authentication and it cannot be done by post or online, according to the UIDAI. This is why, the UIDAI explains, you need to visit the nearest Aadhaar Kendra (Aadhaar centre).